2018 was full of travel to visit portfolio companies. I had the opportunity to visit a number of very interesting private companies along the way. I enjoy meeting private companies for the chance to learn and to meet new entrepreneurs. These initial visits also lay the foundation for understanding a company’s fundamentals, should it one day become a candidate for public investment. Note that the Needham Mutual Funds do not invest in private companies. · Large market opportunity—can the company grow to 5-10x its current size? · Strong and incentivized management—I like companies led by a founder, family or long-tenured CEO with a vision. · High return on capital or potential return on capital. In an early stage company, this may mean that the unit economics of attracting a customer versus the value of that customer are elevated. This also translates to a strong competitive position. This write-up is the third in a series of Growth Factors that will explore private companies, which I have had the pleasure of visiting. Shorelight Education provides comprehensive educational services to international students to prepare them for undergraduate and graduate programs in the United States. Its high-touch programs are centered on student success and designed to prepare each student to succeed and thrive as global citizens. Shorelight creates extraordinary opportunities for students and universities from all over the world. It is changing the face of higher education. Academic institutions are striving for a more globally diverse campus environment. Shorelight enables qualified undergraduate and graduate students to study in the United States. Without Shorelight, these international students would not find their way to the United States because they may lack the English language skills, they may not know how to find a program, and they may not see a path to success. These students pay full tuition, room, and board. They are enrolling in programs with capacity, and the programs are looking for qualified students. These students offer diversity and new perspectives to their American classmates. Today, 3.2 million out of 160 million college or graduate students worldwide cross borders for education. Twenty-five percent of these students come to the United States for their education. However, 75% of the 3.2 million students report that they want to study in the U.S., but they don’t because they don’t know how and don’t see a path to educational success. These 2.4 million international students with the desire to study in the U.S. represent a $20-75 billion opportunity. Beyond today’s market of 3.2 million international students, demand for higher education is exploding in countries with high growth in their upper-middle classes, including China, India, and Pakistan. A panel at the 2017 ASU+Global Silicon Valley Summit titled, “Scalable, Borderless Higher Education – new Global Models, Ready or Not,” included Lucy Stonehill, CEO and Co-Founder of London-based BridgeU. She stated that worldwide demand for higher education could grow to 260 million students by 2027, up from 160 million in 2017. Meeting this need would require building two new universities for 27,500 students every day for the next ten years. Filling existing empty seats in U.S. universities is a small solution, but a big opportunity for Shorelight. I met with Co-Founder & CEO Tom Dretler and CFO Sean Lannan at Shorelight’s office in the Seaport District of Boston. Tom was the former CEO of Eduventures, LLC from 1999 to 2011. Eduventures serves universities with primary research and strategic advice. 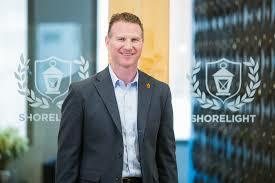 In 2012, he joined Sterling Partners as an executive-in-residence prior to founding Shorelight. With Jeff Denneen, head of the Americas Higher Education practice of Bain & Company, Tom co-authored, “The Financially Sustainable University.” They wrote, “A focused strategy can help colleges and universities reinvent their industry and stop spending beyond their means.” Many universities are facing declining enrollments and rising expenses from debt service, new programs, and overhead. Tom understands the challenges facing university administrators. Tom and Basil have amazing backgrounds to build Shorelight’s business, and you can learn more about management from Shorelight’s video, “Who We Are,” which includes a tour of Shorelight’s offices. In 2015, Tom gave an interview on New England Cable News, and in 2017, he participated in a panel discussion at the ASU+Global Silicon Valley Summit. Shorelight partners with leading U.S. universities to provide an exceptional educational experience for international students. Shorelight finds and recruits academically and financially qualified international students interested in studying in the United States. It manages the first year for these students, which includes English language study for non-English speakers and other courses to position the student for success in their chosen field. This first year also includes social, non-academic support. Ninety percent of Shorelight’s first-year students move on to the second year and eventually graduate. Shorelight’s university partners include Adelphi, American University, Auburn, Florida International University, Louisiana State University, University of Massachusetts Boston, University of Central Florida, University of Illinois at Chicago, Kansas, South Carolina, University of the Pacific and, most recently, the University of Utah. These schools partner with Shorelight on undergraduate and graduate programs in agriculture, architecture, business, education, engineering, IT, fashion, hospitality, law, political science, liberal arts, music, nursing, pharmacy, and sciences. Shorelight has its own employees in 15-20 major international cities. These staff may be viewed as adjuncts to a University’s admissions office. They visit high schools and colleges and meet students. 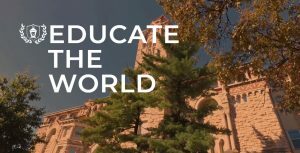 Shorelight is also the exclusive partner of U.S. News and World Report in providing information about U.S. universities to international students. The companies created a joint venture called U.S. News Global Education, which reaches about 12 million visitors each year. This venture creates awareness and leads for international students interested in studying in the U.S.
Shorelight and its university partner share the tuition, room and board revenue and expenses for a student’s first year, depending on which organization provides the services. With success in the first year, the students move on to their second year as would any other student. The university collects tuition for future years. Shorelight receives a portion of the tuition after the first year. This later year revenue could be very high margin and is a long-term annuity revenue stream. If we assume Shorelight has 2,000 first year students and 4,000 to 5,000 other students, the company’s revenue could be $50-100 million. Shorelight is the leader in a large market. With 1.6 million students interested in higher education in the United States, if Shorelight were to serve 50,000 students, it could have revenue of $500 million to $1 billion. There is little capital required to launch and even less to sustain a program. As the programs scale, I believe Shorelight may earn an attractive return on capital. Huron Consulting Group (HURN) invested $12.5 million on July 9, 2014 and another $15.4 million in zero coupon convertible debt instruments maturing on July 1, 2020. As of September 30, 2018, Huron carries its ownership in Shorelight at $46 million. Chris Hoehn-Saric, Chairman of the Board, co-founded Sterling Partners in 1983 and is Co-Chair of the investment committee. Prior to Sterling, Chris was CEO of Educate Online and Co-CEO of Sylvan Learning. Tom Dretler was an executive-in-residence at Sterling prior to launching Shorelight. Andrew Cohen, Chief Investment Officer and Co-Founder of Cohen Private Ventures, LLC. He manages the family office for Steven A. Cohen, investing and overseeing a portfolio or private investments. William Hansen, CEO of USA Funds, was CEO of Madison Education Group and other organizations. He served as deputy U.S. secretary of education from 2001-2003, and previously served as assistant secretary for management and budget and as CFO. Jeffrey Keith, founded or co-founded numerous private and public companies. He is a Senior Operating Partner at Sterling Partners. James H. Roth is CEO, President and board member of Huron Consulting Group, Inc. Before taking on this role in 2009, he served as vice president and practice group leader of Huron’s Health and Education Consulting segment. Huron has a significant higher education consulting practice and Jim Roth has an ideal background to add value to Shorelight. Mr. Roth joined the Shorelight board at the time of Huron’s investment. Luis Ubinas was president of the Ford Foundation and has served on high-level government and nonprofit boards and advisory committees.